Previously Cloghcorragh in MV. 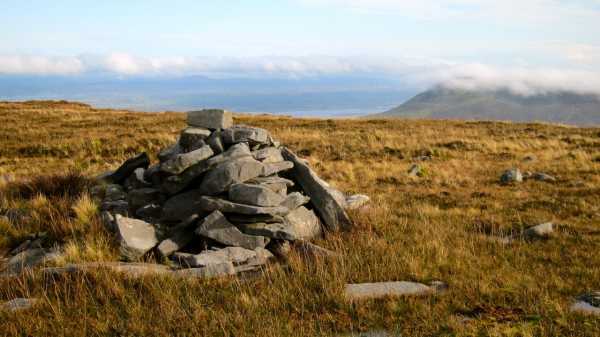 Tievebaun is the third highest mountain in the Dartry Mountains area and the 264th highest in Ireland. 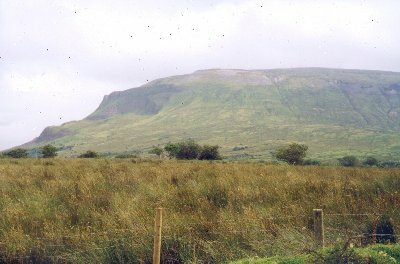 Tievebaun is the second highest point in county Leitrim. 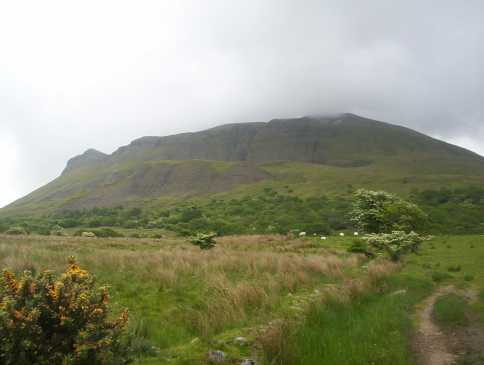 Climbed June 4th 2006 - Accessed from Truskmore summit having started walk at gates to RTE's private road at 07.00 hrs. Was hoping that the weather would have been as fantastic as it had been on the previous two days (and mornings). However a glance over to Slievemore & Benwhiskin quickly disabused me of that particular notion as a bank of heavy cloud was slowly but surely making its way across the Gleniff valley in my direction. As it turned out by afternoon the hills were bathed in beautifuI sunshine but I had chosen to start early so as to get back to Ballyshannon in time for the start of the gigs in the Rory Gallagher Tribute Festival. Not wanting to take the RTE road (felt like cheating) although I had previously climbed Truskmore from Glencar, I instead cut across the fields and the road (twice) and scaled the side of Truskmore. Steep and tough going but infinitely more rewarding than taking the road. After reaching the summit Trig, which by now was enveloped in cloud. I took a bearing of 25 NNE making straight for Tievebaun summit. Unfortunately the cloud stayed with me throughout the walk only clearing slightly when I returned to Truskmore on my way back. From Truskmore it is a short fairly steep descent down rocky slope, thereafter fairly steady going across col and up slopes of Tievebaun over light trussock grass and the odd small peat hag. Surprisingly, came across wall heading in the general direction of the summit. Not sure if this has something to do with the County boundary or not. Eventually wall veers west. At this point walked through breach in wall and then followed fence up to a few hundred metres short of the summit. Climbed over fence and made way to summit, unmarked and unspectacular. A small locheen/pond parallell to the summit appears to be the only notable feature. Since I couldn't see more than a few metres in any direction I decided to make my way back without any delay. Simply took a reverse bearing of 204 SSW retracing my steps back via Truskmore summit and back down side of Truskmore into Gleniff valley and the car. Just a quick link to the story of 42-31420's crash on Tievebaun as I found it. 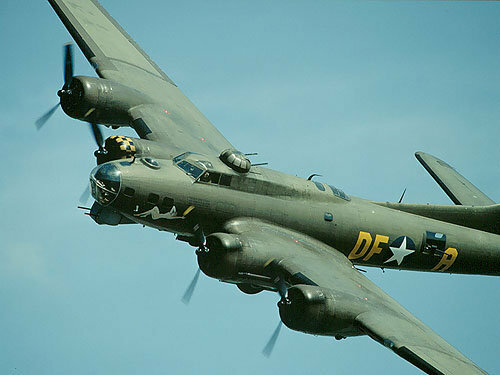 If you do go up top the small bit of wreckage that is left, please don't remove anymore parts so as to leave some memory of the ten young men who flew with her up there. 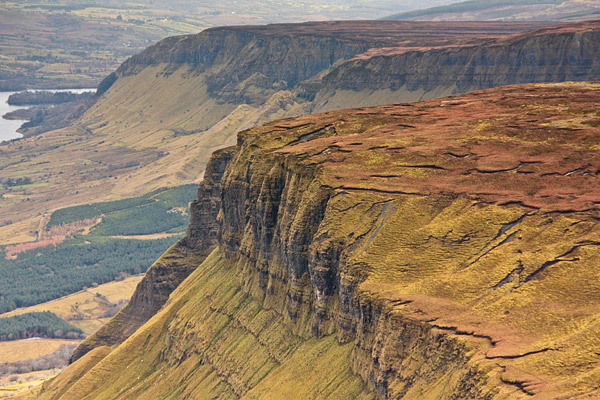 Picture from simon3 : Cliffs of Glenade. Look out for the great views of the undulating cliff line of the west side of the Glenade valley from the long, boggy saddle between Truskmore and Tievebaun.